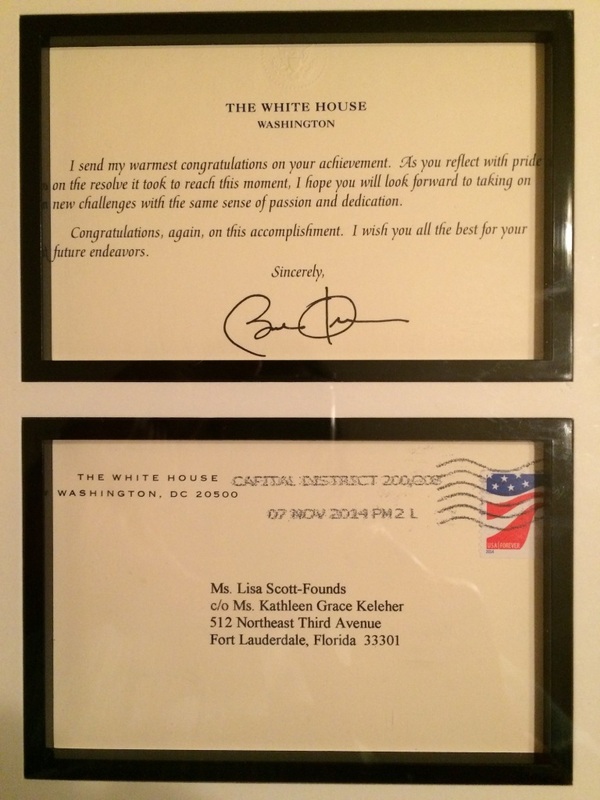 President and CEO Lisa Scott-Founds received a letter from President Barack Obama congratulating her on her achievements, dedication and passion for Winterfest. The framed letter was given to Ms. Founds during the GrayRobinson, P.A. Winterfest White Party presented by Publix prior to the announcement of the 2014 Grand Marshal for the Parade Flo Rida on Saturday, November 15, 2014.